Betsy Arroyave holds a PEM in English from Universidad del Valle de Guatemala and an SIT TESOL certificate. 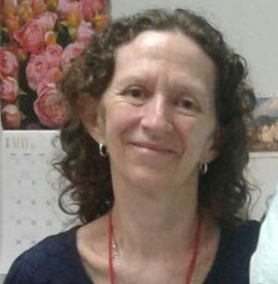 She has worked as a high school teacher, university professor, and for the past 31 years, as an English teacher and teacher trainer in the Academic Unit at IGA in Guatemala City. Teachers: What We Do Connects Us All teachers are unique individuals, but “in spite of our differences, we all dance to the same beat.” This beat – Teaching - is the focus of this session, which is for all teachers interested in the topic, but especially for new teachers, student teachers, and trainers involved in helping teachers develop their skills. We will address questions such as -What are the essential components of effective teaching? -What knowledge, skills, and personality factors do language teachers have to have to be good teachers? -What are the different roles that we have to carry out in our classes in order to successfully help our students? As we reflect on these questions with colleagues, we will come up with answers together and see that despite our differences, what we do connects us.